Suffice to say, the release history of Sega’s Valkyria Chronicles series has been uneven, both in terms of quality and availability. After the original game — which is due to arrive on Switch later this year —successfully kicked the series off on home consoles, the sequel only saw a release on PSP, while the third game (also on the PSP) was Japan-only. 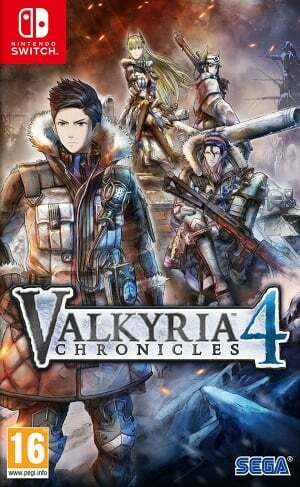 In the wake of a deplorable action RPG spin-off which released last year, Sega has opted to go back to its roots with Valkyria Chronicles 4, which largely takes after the first game. Luckily, Valkyria Chronicles 4 has managed to remind us of exactly why this series was so beloved in the first place, offering up a fresh cast of lovable characters alongside the tried and true strategic gameplay. The story follows the conflict between two warring groups called the Atlantic Federation and the Eastern Imperial Alliance, obviously being used as stand-ins for the two sides of World War II, over a precious material called Ragnite. The main character is technically Claude Wallace — the commander of an elite group of Federation soldiers called Squad E — but this is really a narrative that’s driven by its ensemble cast. Conflicting characters like Raz, a brash and reckless Shocktrooper with an itchy trigger finger, and Kai, an aloof and calculating sniper, create plenty of memorable and genuinely heartfelt moments; we were rather surprised at how well the writers were able to develop characters from stock anime tropes into three-dimensional people over the course of the narrative. Moreover, this is done to a certain extent for every character; though there is clearly a key group of Squad E members that the story focuses on, the deep bench of side characters still get their time in the sun during some key cutscenes, making them more than mere fodder. As one would likely expect from a story such as this, it can get gritty at times in its portrayal of war, showing the real deaths and consequences that result, but it fortunately doesn’t stray anywhere close to Saving Private Ryan levels of bleakness. The more lighthearted anime influences that were introduced in some of the previous sequels make a return here, meaning that every scene alluding to PTSD or loss is offset by three or four scenes crammed with pervy jokes and playful bickering between squad members. Even in moments where it seems like all is lost for Squad E or the Federation, there’s a certain level of hopeful optimism that permeates the writing, and this benefits the narrative considerably. Gameplay could be described as a mixture of a third-person shooter and a strategy game, with equal importance being placed on both types of play. Every turn starts with you looking at a map of the battlefield, with available units, known enemies, and obstacles all noted, and you’re given a set number of Command Points, one of which is used every time you select a unit for action. The perspective then shifts to that unit, giving you full control over their movement, but with the caveat that the distance they can move is hamstrung by an Action Gauge on the bottom of the screen. Once the unit is in place, they can fire, throw a grenade or heal, and the cycle repeats. Though it can take a bit of trial and error to come to grips with this battle system, it’s ultimately rewarding once you get the hang of it. Successfully managing a dozen units in a shared effort to reach a certain goal is endlessly gratifying, and the more hands-on approach offered by the third person combat makes the game feel less dependent on RNG elements. Taking control of a sniper and pulling the trigger yourself feels more responsive than if you were to simply order the unit to do so in a more traditional strategy game, even if there's still a chance of missing the shot, irrespective of your aim. Rather like in the Fire Emblem series, there’s a soft weapon triangle at play here as well. 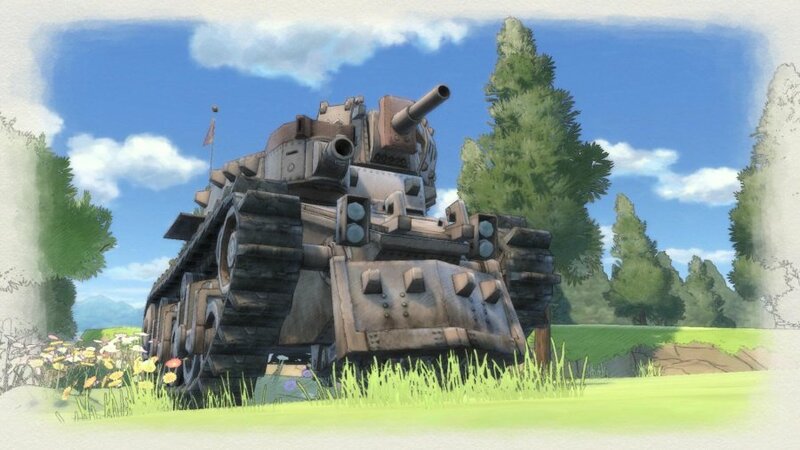 Infantry units like Shocktroopers and Scouts can easily destroy anti-vehicle machines, which are effective at cutting through tanks, which in turn are effective at mowing down infantry. Understanding how to balance these elements is key to wrapping up a battle quickly, as a lopsided team will quickly run into trouble when faced with certain enemies. If a unit happens to go down, you’re given three turns to get another unit next to them to call a medic, otherwise the character dies and is gone for good; it’s not quite the brutal permadeath that Fire Emblem fans are familiar with, but there’s still some danger here to encourage careful play. What’s perhaps more interesting about all of this is how Valkyria Chronicles 4 chooses to handle progression. Rather than doling out experience to a character after each enemy they kill, it’s all handed out at the end of battle scorecard, which primarily bases your grade and experience allotment on how quickly you achieved the goal. The experience points can then be invested not in individual characters, but in classes as a whole, with every character of that class getting a stat bump and new abilities as you level them up. Though it may seem a bit strange at first, this system does a great job of sidestepping the problem many strategy games run into when several characters inevitably fall out of the usual team lineups. In making levels apply to classes rather than characters, there’s no reason for you to not use the full team, as everyone in a class is more or less equal. Some variation naturally does exist between characters, and these are realized in special abilities called Potentials. These act as buffs or debuffs that activate under certain conditions, such as a nature lover whose defence jumps up when they go into tall grass, or a unit with PTSD whose attacks become less powerful if bombs are used against them during that turn. Having abilities that both help and hinder a unit’s effectiveness gives each one a distinct feel and encourages the player to frequently experiment with team compositions to find abilities that complement each other. To add further distinction between characters, different load-outs can also be equipped to help make units more specialized and tailored to certain situations. When back at the base, money earned from battles can be invested in an R&D lab that creates and upgrades guns and armour, eventually giving the player plenty of options for how to spec their team. All of this combines to make for a system that offers plenty of customization for those that want it, but this does also highlight a recurring issue of hefty menu management. 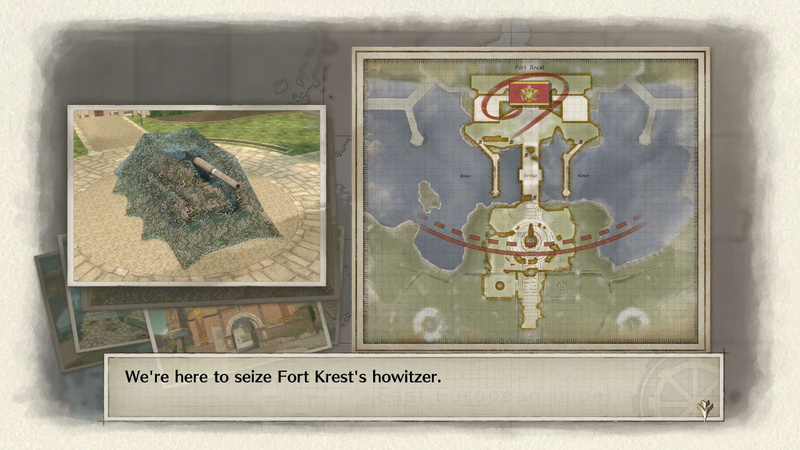 Though Valkyria Chronicles 4 may have plenty of depth, it can be a bit of a bear to fully explore, as you must sift through endless sub-menus to find the option you want. An ‘optimize’ option or something similar would’ve gone a long way here, as it often doesn’t feel worth the time to sift through inventories, upgrades, status screens, and more for a marginal bump in the effectiveness of a few units. Pacing is handled in a strange way, too, with each cutscene and battle playing out as selectable, segmented pictures in a diary penned by Claude Wallace. A new picture is added after you’ve completed the previous one, but this creates an issue with uneven pacing. After watching a cutscene and returning to the diary, you may be expecting to actually play something, but instead will be greeted with another picture representing a cutscene. Sometimes an entire page in the diary is just cutscenes, while other pages have two or three battles back to back. The ability to skip cutscenes and dialogue by tapping the ‘-‘ button helps to alleviate this, but you’re then missing out on key story elements to give context to the playable battles. It would’ve been nice if Sega could’ve figured out a more balanced approach to presenting story elements alongside the gameplay, as it can often feel like too much of one or the other in the way it’s handled here. 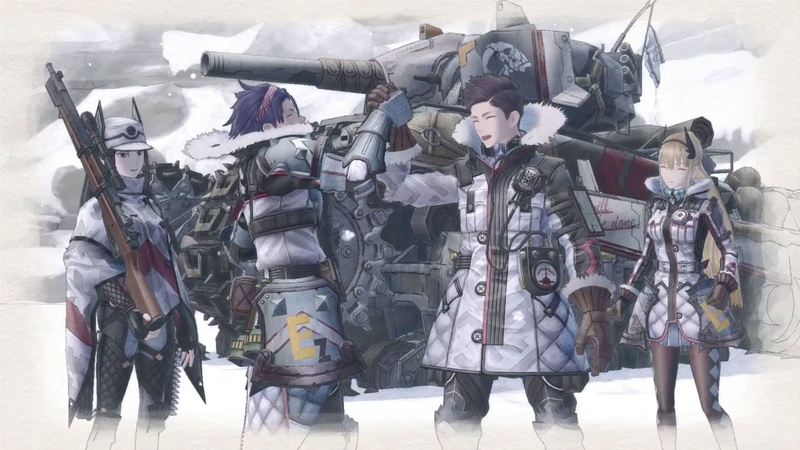 In terms of presentation, Valkyria Chronicles 4 manages to impress, going for a surprisingly colourful and painterly visual style. 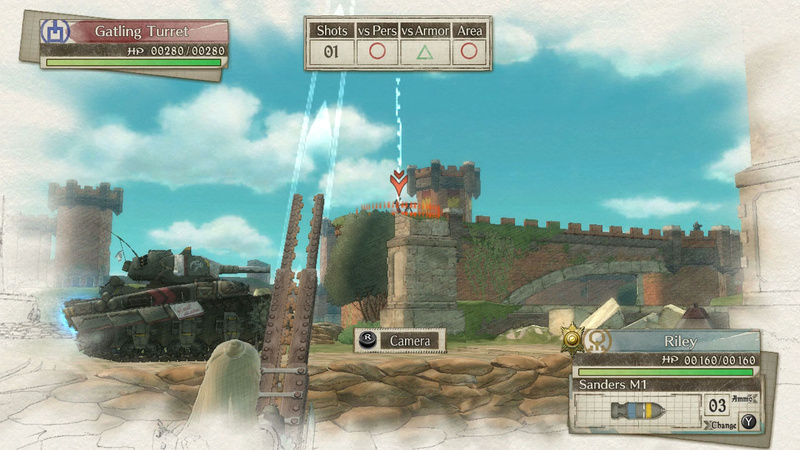 Little sketch marks are used to show shadows on a character’s face, and watching an emphatic “BOOM!” appear after a mortar strike finds its mark helps to give the game a hand-drawn feel that fits well with the optimistic tone of the characters and the overarching meta-narrative that all of this is the result of Claude writing and drawing things in his diary. 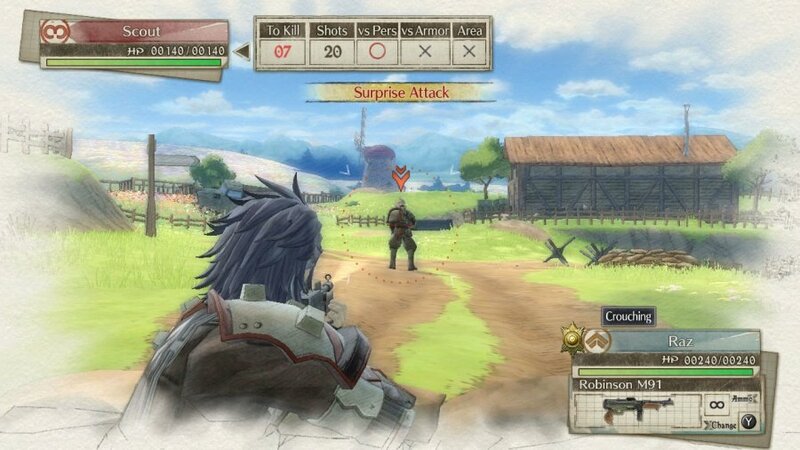 Coupling this with the soft lines that let colours slightly bleed into each other makes for a striking appearance which balances realism well with slightly more fantastical elements; especially when playing on the Switch’s portable screen, Valkyria Chronicles 4 is quite easy on the eyes. The soundtrack is a little less memorable than the visuals, but it still does a great job of setting the militaristic tone. Trumpets and drums abound, and there are about as many sorrowful and emotional tracks as there are triumphant and exciting ones, making for some lovely emotional range. Though none of the tracks really stand out in particular and the soundtrack to the original is perhaps superior, the music on offer here gives players something to listen to without being too distracting as they make decisions and line up shots. As for replayability, there’s quite a lion’s share of content to be drilled through in Valkyria Chronicles 4. Aside from the 30 to 40-hour campaign, there are all sorts of side content to be found in extra chapters that help flesh out certain characters and relationships while giving you extra battles that have unique modifiers, like limiting your character options or giving you special objectives. Along with all this, getting the coveted “A” rank on each battle is quite a feat in itself, even more so if you opt to challenge yourself by leaning harder on classes you don’t use as often. Nice! will be picking this up! I assumed this would be good. I'm glad this game turned out well! When I read "sublime," I think of a 9 or 10 rating. Regardless, a good review. Personally, I was already sold based on the prequel and demo. I'm kinda torn on this. On the one hand, VC was a beautiful game, with an okay story and some heartfelt characters and a decent take on the turn-based batttlesystem. There were aspects to it, I didn't really enjoy though, like the way everything was handled through menus and also how the speed in which you finished missioned mainly determined your score. That felt at odds with the type of game it was. I normally tend to take a slow, systematic approach with these kinds of tactics game, but VC kinda "encouraged" me to rush things whenever possible. While this forced me to think differently and break my patterns, it never really sat quite well with me in the end. It kept feeling at odds with the combat and constant menu-driven experience. Anyways, this seems to be very much in the mold of VC1-3 then, which is a good thing seeing as those were good games and esp. compared to the misstep that was Revolution, but on the flipside, it also seems like virtually none of my issues with the original got addressed in the meantime ... which is disappointing. Not sure when I'm going to pick this up and whether it's going to be on PS4 or Switch. Time will tell. @Ralek85 I totally agree. The ranking system is what made me underuse some types of units (who has time to heal or repair with an A rank? ), and that's just too bad. I’ll probably pick it up on PS4. I hope 2 and 3 will also find their way to Switch, eventually. @neufel Yeah, that was one unfortunate side-effect. Battle effectiveness in large part came down to - what I like to call ^^ - Blitzkrieg-qualities, which made some units and actions rather pointless imho, even though they would have been interesting under different circumstances. Maybe it is an option for you to ignore the ranking and grind the exp ans money you are missing? I mean if you really dislike this system, maybe ignoring it could make the game more enjoyable for you. Ranking isn't really that important after all. Just an idea. I personally have no problems with the ranking system, but I can definitly see how it isn't for everyone. I pre-purchased & downloaded this over a month ago after playing the demo. It's the 1st VC game I've ever played (never even heard of the series before VC4 was announced as coming to Switch). Thanks @MitchVogel for writing such an extensive and detailed review with pictures. Pre-ordered the Memoirs from Battle limited edition for Switch, & I can't wait for it to arrive in my mailbox just in time for Canadian Thanksgiving! Also like how the limited edition gives you all of the DLC as it's released, rather than having to buy a separate "seasons pass." I wish other games would do this. I feel like if you buy the limited edition, and DLC is already planned out for the game, then it should be factored in to the price of the limited edition. Way to go SEGA for doing just that! I wonder if there's a huge graphical difference between this and the first game. I think I'll probably start with the first if that's not too ugly on the Switch. Pre-ordered my copy last month because the demo was great. Looking forward to it. This is a game I really want but I doubt I will be torn away from MHGU anytime soon. It's going to be a rough fall/winter with wanting games and resisting the urge to buy them. @zionich just go back and fourth between games like i do. The ranking system is great, a large part of strategy games ought to be encouraging players to move forward. It's just the balance of the first game in regards to that ranking system, that made scouts so dominant. @construx That shouldn't be a problem, the graphical difference between VC1 and VC4 is surprisingly small. These games pretty much can't look ugly anyway, the artstyle is just timeless. Yeap I'm getting this the moment I could afford it. Will be checking out the first one later though. @Camilla I do to some extent. It's just when there is a heavy emphasis on story I can loose track of things. It still a great suggestion! Admittedly topping the first one would be pretty tough. @construx Judging by the screenshots in the article it doesn't look like a big difference. I played the first one on PC and even though it was ported several years after the original release they didn't improve the graphics much (if at all). Even though you could see that it was a last gen title, the art style covered up the technical limitations pretty well. Day one! One of my most anticipated games this year. I hope Valkyria Chronicles 1 and 4 sells well so it would encourage Sega to re-release the second and specially the third entry of this wonderful series on other gaming platforms. It's a bit of a mixed bag. This is a fantastic series that everybody should play while at the same time this game isn't for everybody. That said if you are even remotely on the fence(Play the demo?) Get it. @LaytonPuzzle27 I'm rebuying 1 for the 4th time for this exact reason + portability. Demo was great - bet Sega was pumped when FE got delayed - this helps fill the heartache a ton. Busy playing that amazing DQXI. But I shall get this game when I finished with DQ. How does it fare compared to the Ps4 version? Graphical difference, framerate etc.? 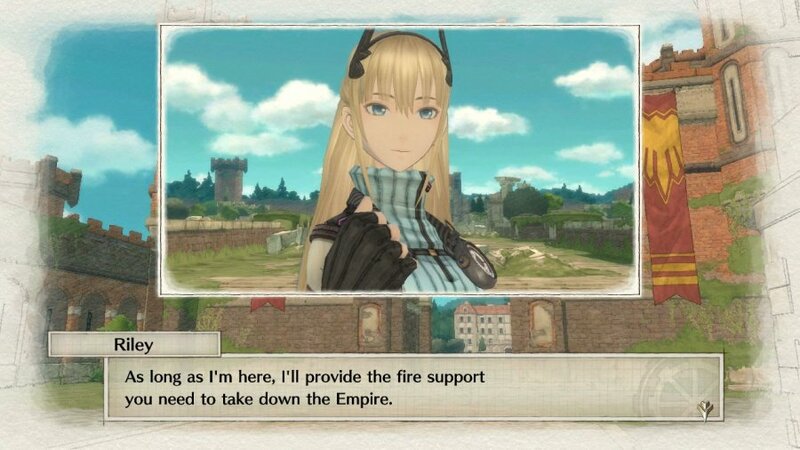 Played through the demo of VC4 and got a lot more enjoyment out of it than I expected. However, I'm still searching for a reason why I should buy this game at full retail price instead of the port of the original game arriving later for a fraction of the price. @PokemaniacJOK It's a different and brand new game? If you don't think it's worth the price, don't buy it. VC1 is also fantastic, and the price they're offering it at is a steal. "Sometimes an entire page in the diary is just cutscenes, while other pages have two or three battles back to back. The ability to skip cutscenes and dialogue by tapping the ‘-‘ button helps to alleviate this, but you’re then missing out on key story elements to give context to the playable battles." This seems like a strange criticism. I mean, I get that the mix of cutscenes and battles might have been a bit better, that's fine, but this seems to me to be saying that it's easy to skip the cutscenes and get back to the battles if you want to, but if you do you'll miss out on story content. Uh... yes? That's how cutscenes work? Too many anime tropes for me. I love VC 1 and 2. Hope 3 get a release in west one day. This will be my second switch purchase for 2018. Cannot wait to play at my local wine bar. Between this and Rainbow Skies on the Vita. My turn base games are set for the rest off 2018. Awesome. My next buy after Dragon Quest XI. September is amazing. Have some time to decide on what platform. One of those games i want no compromise. Awesome, and to have this game on Switch? People would've lost their mind just having a game like this on Vita. Yet we have it on Switch with actual HD and home console play identical to PS4. This is a perfect example of a game that has zero value on other platforms. There's simply no reason to buy it anywhere other than Switch. And that's fantastic because that's what makes the system so great. You're getting the same games as other platforms but you're getting 3x the bang for your buck. This blows my mind. Give us new games, they say. Give us these games only PS4 is getting, they say. Give us new entries of cult classics fans are asking for, they say. Well? Here it is, it's absolutely incredible, and nobody cares! Not on Switch, not even on PS4! Even Shining freaking Resonance broke the top 50 during its launch week! But not the excellent follow up to one of the most beloved strategy games of all time. Nope. Nintendo fans, where are you at. All these games you've been saying you want... and I don't really see that many people buying. DB Fighter Z preorder numbers are worrying also, and Dark Souls. Did everyone suddenly stop buying video games all at the same time, or...? I mean I know a lot of games are coming out all at once and everything, but that didn't stop anyone last year, which was way more jam packed. I know it's cramped- I could play nothing else but Monster Hunter Generations Ultimate til 2019, but we gotta do better than this. We can't go asking for games that we supposedly want, get exactly that and as close to full PS4 parity you could reasonably expect, and then be like nah, I'm good. Pass, pass, pass, pass, pass... You complain about indies, but you consistently keep indies in the top 10 of the eshop charts all day long 24/7, then let excellent, brand new games from series of well respected pedigree fall by the wayside. Obviously I'm not talking to everyone here but, if you're reading this and feel I'm speaking to you, then I probably am. Yeah, gamers are weird. I'm convinced people rather complain about what they're not getting instead of supporting what they are getting. I guess VC4 is too niche and isn't "AAA western" enough? I dunno, but you're right. With all the whining people do about "game droughts" and how equal they want the Switch to be with the PS4, these folks should be lining up for VC4. Can't wait for the first game to arrive so I can play them in order. @Eagle9 the 90s where we had to pay up to $120AUD for a new SNES game? @JaxonH Its not for a lack of wanting. I just hate falling into that buy everything massive backlog trap. Especially when I know a game like MHGU will keep me busy. Thank you for the answers, everyone! I loved the first game back on PS3 and I'm really looking forward to this one! I'm glad the game plays like the first game! I got the one with the tank on Amazon. I loved the demo. I hope that turn based games never go out of style. Here's hoping 2 and 3 aren't bolted to the vita/Sony by contract, and we get them sometime later. I like this take on turn-based strategy and want more of it. Valkyria Chronicles has long stood as one of my favorite 7th gen games. I was super excited when I heard it was getting Remastered for PS4. But a brand new one? For Switch? That's one of the most awesome developments this generation. And the first one is also coming? Man oh man, I don't care if I'm in the middle of Monster Hunter Gen Ultimate, they can wait in the backlog queue until I'm done, but either way I'm buying both these games day one. An excellent game for sure, but is well worth trying the demo on both PS4 and Switch first to see which version you want. The Switch version has some large graphical cutbacks which really hurt the beautiful art style. The demo was pretty good. I can definitely seeing buying it myself someday. I've played the demo, but can't decide if I want to buy the game. Can anyone who played the first game, give an indication of how hard the battles get? I'm hoping for a challenge strategy wise, but the early missions are really just tutorials and don't give a good idea of how challenging the meat of the game will be. These games need to be portable. Portability beats visuals in this case.